Save even more on bulk promotional pens when you take advantage of the Promotional Pen Store’s free setup offer. For any one color/one side order of $500 or more, we’ll take care of the imprint color setup charge, saving up to $50 on your promotional pen order. This promotion is valid only on orders with one a color, one side imprint. For example, if you plan to order custom Rollerball Pens with a single-color imprint on the barrel of the pen, we’ll happily wave the setup fee to you save even more on your custom pen order. Many of our pens already qualify for free setup, including certain BIC pens. Why Choose Promotional Pen Store ? We have everything you need to create custom promotional pens for your next big event or trade show. 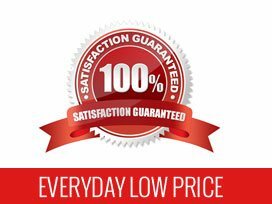 Promotional Pen Store backs every purchase with a 100 percent satisfaction guarantee that ensures you’re completely pleased with your purchase, from pricing to shipping to design. We always strive to serve our customers in the best way possible. For additional information on this promotion or general questions, e-mail us at info@promowebstores.com or call us at 800-974-3611.